Rate of interest -Lower the interest rate, lower the EMI. Work profile -Employees of large companies get lower rates leading to lower EMI. As per the current rate of 9.25% for new car, HDFC Bank,Axis Bank,Bank of Maharashtra offers the lowest EMI car loan of Rs. 1,478 for 7 years on per lakh loan amount. The EMI can vary depending upon the interest rate, loan amount and loan tenure. Higher the loan amount, higher will be the EMI. The monthly amount calculated by car loan EMI calculator is the fixed money you pay to the bank towards payment of principal and interest. At the lowest car loan rates of 9.25% the lowest car loan EMI per lakh for a tenure of 5 years is Rs. 2,088. In this case you have to pay an interest of Rs. 25,279 on your loan amount of Rs. 1 lakh over a period of 5 years. If you decide to take loan for 2 years only, for the same rate of interest you will pay a higher per lakh EMI for car loan of Rs. 4,580. In this scenario you pay a total interest of Rs. 9,919 on your loan amount of Rs. 1 lakh over a period of 2 years, which is less than half of what you paid for a 5 years loan. Apart from online car loan calculator, you can also calculate your monthly EMI with a mathematical formula. Saves time: EMI calculator saves your time by calculating EMI in seconds and does not waste your time in doing tedious and time consuming calculations. You'll get the output immediately as you'll enter the loan related details. Accurate results: Manual calculations can sometimes lead to wrong results which can change your loan EMI and make you change your decision while taking vehicle loan. That's why, it is well-advised to use online EMI calculator to get correct results. Plan your finances: vehicle loan EMI calculator tells you about EMI and also let you know that you would be able to pay that amount back or not. Always go for the amount that won't affect your budget and also not affect your credit score if you are default in payments. Allows evaluating multiple schedules: EMI calculator also allows you to view the amortization schedules and EMIs for various combinations of loan tenures and interest rates, thus allowing you to choose the EMI that suit your repayment or servicing capabilities. Your loan EMI will be higher in case of loan on flat rate while EMI will be lower with reducing rate. Flat interest rate: Here the interest is calculated on the original principal amount for the entire period. So, if you opt for a vehicle loan of Rs. 5 lakhs at 10% flat rate of interest for a period of 5 years, the EMI will be Rs. 12,500. Here, the total interest per year will be 500,000* (10/100) = 50,000. Thus, total interest in 5 years = 50,000 * 5 = 250,000. This interest along with principal amount is distributed over the entire loan period to arrive at monthly EMI. Here the impact of repayment of capital is not considered. Before you decide your bank and rates, you must do complete market research to get the cheapest car loan rates. Reducing balance method: In this method, the interest rate is charged only on the outstanding amount of the loan. Generally in this case the interest rate is higher than the flat rate but actually it may turn out to be cheaper as the interest is paid only on the remaining principal amount. Every month some part of EMI goes towards principal amount, thus the interest is charged on the remaining amount. Hence there will be a gradual reduction of the principal amount and as a result of the same, interest will be applicable on the lesser amount. So, if you opt for a vehicle loan of Rs. 5 lakhs at 10% rate of interest for a period of 5 years, the EMI will be Rs. 10,624. Zero interest schemes (also called 0% finance scheme): This is one of those free lunches that actually doesn’t exist. So, beware of schemes that claim to offer zero interest. It is likely that the car company is offering a subvention scheme whereby the interest is paid by it to the bank upfront. Now, you could always ask the car dealer for the same amount as a cash discount. It’s like padding up the price of the car for the interest amount and marketing it under a nice name. The choice between the two options depends on your choice which is also a function of your repayment capacity on a monthly basis. The most convenient way of paying a vehicle loan EMI is by way of ECS mandate in favor of the bank from which the vehicle loan has been availed. Note that it is not necessary to hold a bank account with the same bank. One can issue an ECS mandate from one’s salary account or normal bank account. Key benefit of paying EMI through ECS is that there is no risk of cheque bouncing due to signature mismatch or any technical issue. Other modes can include post dated cheques and payments by demand drafts, though these are rarely used nowadays. Most of the banks offer car loan for a maximum period of 7 years. If you apply for longer repayment tenure, your EMI for car loan will be less. However, longer loan tenure increases the amount of interest payment which makes your car loan costly. What is the lowest EMI offered on car loan? Based on the compaison of longest tenure of 7 years and lowest rate of 9.25%, lowest car loan EMI per lakh loan amount is Rs. 1,478. Higher the loan amount, higher will be the EMI. What if I get delay in paying the vehicle loan EMI? It is important to calculate your EMI in advance to maintain stability in future payments. When you avail car loan, you promise the bank to pay a fixed amount at fixed date every month. So, before availing the loan you should consider the stability of your income, monthly expenses and the existing loan obligations to avoid any discrepancies in future payments. 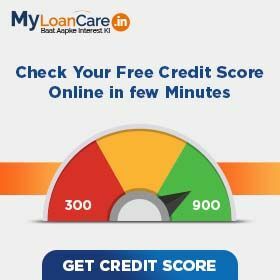 Does the loan tenure affect my EMI for car loan? Car loan can be availed for maximum tenure of 7 years. Tenure affects your monthly EMI. Longer the tenure of car loan, lower will be your EMI. Car Loan EMI calculator of MylLoanCare calculates the EMIs of different banks as per the details entered by you. You can easily compare the EMIs and opt for the best option. You also get to know about the interest charged on loan amount entered. What are two methods of paying car loan EMI? Which one is better? EMI in arrears scheme – this is the standard method of paying EMI where the interest for a month (and principal repayment) is payable at or after the end of the month. Advance EMI scheme – you pay interest and EMI at the beginning of the month. So, each month, you pay interest on amount that you have already repaid to the bank at the beginning of the month. Note - In case your bank charges EMI in advance, the EMI amount should be about 1% lower than that in case of EMI in arrears. For those interested in more precise figures, EMI per Rs. one lakh loan amount on a 60 month car loan at 10% rate of interest as per EMI in arrears method comes to Rs. 2,125 while that as per EMI in advance method comes to Rs. 2,107. In case the floating rate of interest on your car loan increases, your bank will typically keep the EMI constant but increase the loan tenure. So, you will pay the same EMI but for a longer duration. However, in case the interest rates increase to an extent that the revised loan tenure is more than the maximum permissible by your bank, the bank may increase your EMI amount. When you make a prepayment of your loan, you can opt to either reduce the EMI and keep the loan tenure unchanged or keep the EMI unchanged and reduce the loan tenure. It is more beneficial to keep the EMI same and reduce the loan tenure. However, you may opt to reduce the EMI in case you desire so.